Released in 1968 by a group of Oberlin College Students and pressed in very limited numbers (i.e. 500 copies), 24 Hours is a blend of folk, blues, jazz and eastern psychedelia. Songs on the album explode with originality, with meditative pieces like Pale Shades Of Gray and it's eerily beautiful melody or Elaborations, a lengthy raga-ish instrumental with some very effective flute. Just one look at the tripped out psychedelic cover is enough to guarantee that the music contained within the confines of this album is a mind blowing artifact of the 60's counterculture. 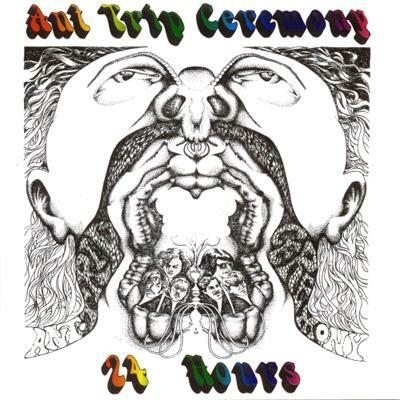 Comes with faithfully reproduced original graphics as well as liner notes and photos detailing the short lived but amazing story of Ant Trip Ceremony.